Swanky Chic’ is a salon located in Downtown New Smyrna on 125 S. Orange Street New Smyrna Beach, FL offering Nail & Hair care plus Barber services for the entire family. Swanky Chic’ salon was established in 2007 and since we have prided ourselves on making our clients feel like they are family. We have some of the most knowledgeable stylists in the industry with some 49 years experience. Our Hair and Nail services are suited for any member of the family at any age. We have a variety of hair services including Color, Highlights, Perms, Extensions, and styling. Our nails services include Acrylic Nails specializing in Pink and white acrylics, Spa gel manicures and spa pedicures, and we also specialize in Nail art. The Swanky barbers here are expert hair stylists showcasing all the latest cuts and hair styles for men,women and children. We love our clients and we love what we do everyday! 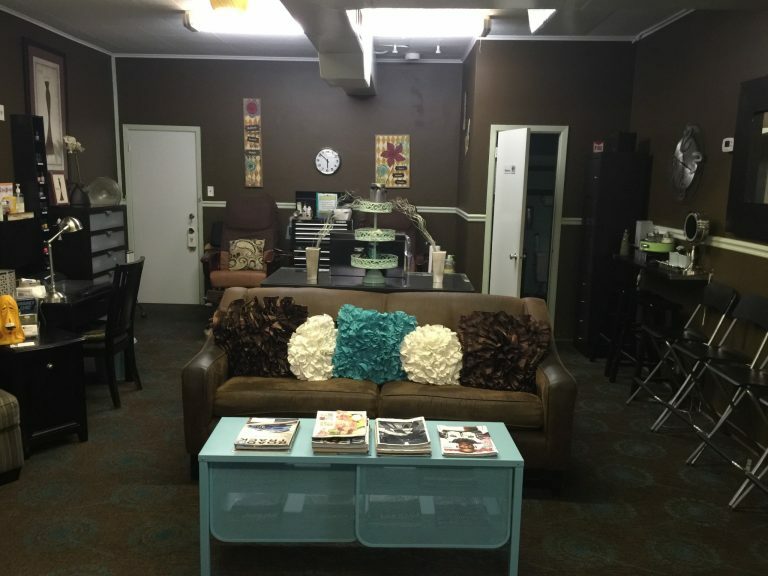 Swanky Chic' Salon welcomes walk-ins! It is a form of semi-permanent makeup that provides a means to partially or fully camouflage missing eyebrow hair with the appearance of simulated hair using fine deposits of cosmetic tattoo pigments. Book your appointment with Crystal Clark today (386) 427-4444. Where do I start. 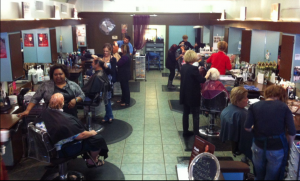 I was a salon owner for 35 years and they were some of the best years of my life. I only wish I had started younger with it. Missy came in my life in 2011 and I sold my salon to her. One more thing in my life that has been a blessing to me. I love working for Missy, she is one busy lady. I specialize in Color, Perms and Hair cutting both men's and women's cuts, Wash and sets and styles. I trained in Michigan and moved to New Smyrna Beach in 1983. Working with the Swanky crew is a wonderful experience. We work together to give our clients the best in hair care and nail needs. I specialize in haircuts, blow dry, sets and perms and color. I am a mother of four and a 3rd generation stylist with passion, I have come to LOVE the beauty industry! I have worked with The Swanky Team for 7 years and have great respect and love for each and everybody that has been in my life! With a natural instinct, I look forward to every client and every new adventure as they sit and my chair, having full faith in me and what I love to do. After taking a 2 year leave to start our boat business ( Sand Dollar Boat Rentals ) I couldn't be more happy to be back in full action with those who have supported me 100%. Thank you to Team Swanky and my loyal clients. I have been a cosmetologist 49 1/2 wonderful years. Born and raised in New Smyrna until my 4th grade year. I then moved to Vero Beach where I grew up. After graduation I moved back to New Smyrna to further my career at Daytona Mary Carl Cosmetology, which is now Daytona State. I have had the privilege to work at only 3 different salons and still have some of my original clients. In a total of all my years I've experienced good, bad, happy, and sad. My clients became my family and my coworkers became so much more than family! I am a hairstylist in New Smyrna where I reside with my wife Misty, and my two beautiful children Nicholas and Olivia. I was born in Youngstown Ohio. I Moved to New Smyrna in 1984, Graduated Nsb high class of 89'. I then went to Cosmetology school Daytona State class of 89' 90'. I have been a Matrix educator from 1990 through 1995, a SudzzFx educator 2010 through 2012. I bring 26 years experience behind my chair. I offer Full service haircare including Specializing in Hair color, and highlighting, Brazilian Blowout, Balayage and Bioionic straightening system. I am proud to be a hairstylist at Swanky Chic. I have been in the industry for over 13 years now. I love my job because I get to make every person that sits in my chair feel great about themselves. I get to meet so many new people every day and everyone has a different story, wants a different look and I get to help them accomplish it. I LOVE to go to classes and learn the latest trends and styles and bring them back to my clients and my team. Originally from Toms River NJ. Growing up I was immersed with all types of art, music, and culture. Passions are Art in any form, Martial Arts, Target shooting, and anything equestrian. I am a wife to my Loving husband Nicholas and mother to two children and stepson. I entered the nail world as an artist. I fell in love with all the mediums and creativeness on a small scale. Going into my 7th year of experience. I am a mother of 3, Wife and of course hair stylist. I have been sculpting hair for over 18 years. I love creating and transforming a person and spinning them around in the mirror and seeing there reaction. I hope to see you sitting in my throne where you will be treated like the King or Queen you are....Imperfect Beauty... because diamonds are created under pressure! !